The mosque will be open by the start of summer. 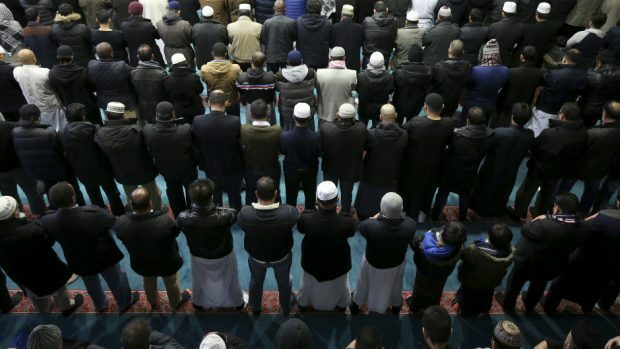 The UK’s most northern mosque – in the Presbyterian stronghold of the Western Isles – intends to open its doors next month, in time for Ramadan. Building work is now under way after a fundraising appeal took off spectacularly. Construction costs of converting a derelict building in Stornoway town centre is estimated to be around the £50,000 mark. About two thirds of that figure has been donated so far from Muslims across the world. Six Syrian refugee families and local Muslims presently use cramped accommodation for communal prayers. But they have nowhere to hold funeral services nor a suitable space for family members to follow the Islamic rites of washing the deceased. The former residential house, latterly used a store, has been gutted out and the hard work in refurbishing the premises is moving on. A new electrical supply was being installed yesterday, a concrete floor has been laid and the roof is stripped ready to be slated. When completed the mosque will have a prayer room and a meeting space on the ground floor. All going well the mosque should be ready in the middle of May. Stornoway resident Mohammed Ahmed said the local Asian community waited 20 years to see the mosque development finally happen. But he put them in touch with Aihtsham Rashid from Leeds who “got the next flight up here” and threw himself wholeheartedly into the project. Mr Rashid who runs a construction business in Yorkshire and specialises in building mosques also launched the set up the online crowdsourcing campaign. “I’ve been told its probably the fastest rate of money coming in they’ve had on the JustGiving page.